Home » News » 2012 LDK Solar: PV power plant orders or investment traps? 2012 LDK Solar: PV power plant orders or investment traps? Accumulated losses on the balance sheet of the top ten PV company to reach $ 17.5 billion in the first half of 2012, amounting to hundreds of billions to the industry as a whole is at stake. Transfusion of state-owned capital, the Chinese central enterprises reinforcements, the same crisis government actions, LDK Saving Private Ryan story is played out. Industry downturn, with the photovoltaic power generation and network bottleneck is broken, whether the construction of photovoltaic power plants can become the new darling? Following the October 19, Jiangxi HengRui new Energy Co., Ltd. (hereinafter referred to as “HRH”) purchased LDK Solar issued and outstanding share capital of approximately 19.9% ​​of the shares on October 26, LDK Solar and China Metallurgical Group’s Enfield Engineering Technology Co., Ltd. (hereinafter referred to as “the Enfield engineering”) signed a strategic cooperation framework agreement, the two sides will carry out strategic cooperation in the field of polycrystalline silicon photovoltaic industry. The assistant to the president of LDK Solar’s spokesman Li Longji media said the strategic agreement signed by the two sides are involved, from polysilicon until the PV power plant. Seen in this light, the state-owned transfusion LDK Solar is also actively improve the “blood” feature. In With the domestic market Shuguangchuxian, power station construction is expected to change difficulties. 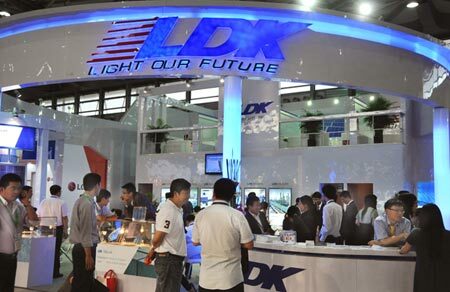 Previously, LDK Solar verge of bankruptcy. LDK Solar’s semi-annual report shows listed in the U.S., the company’s net profit in the first half of 2012, a loss of 10.8 billion yuan, 26.676 billion yuan of total liabilities. Between April and May this year, the LDK product collateral, access to emergency government nearly billion yuan of funds; July 12, Xinyu city government decided to Zevi shortfall of 500 million yuan to repay the trust loan funds, included in the annual budget. In July, the National Energy Board released the “development of solar power,” the 12th Five-Year Plan “, made great efforts to promote distributed solar photovoltaic power generation countermeasures. In September, the National Energy Board issued a “reporting large-scale applications of distributed photovoltaic power generation demonstration area” intends to vigorously pursue new energy demonstration project. Comprehensive view, in the U.S. and European markets “double reverse” investigation under the magic spell, the domestic photovoltaic enterprises in their efforts to open up in Australia, South America and other markets; while under the influence of favorable policies, the domestic PV market began to heat up.